"Finally due to hit a console near you after much delay"
Asteroid Base's the developer over much acclaimed indie title Lovers In a Dangerous Spacetime. have today announced that the title which was first shown off during the very first ID@Xbox unveiling, now has a nailed down release date. You can set you're calender's for September 9. Releasing for $14.99, the game boasts 1-2 player action, and will feature frantic action that forces friends, family members and loved ones to work together while switching back-and-forth between manning the spaceship’s controls, weapons and defenses. In Lovers in a Dangerous Spacetime players will use an array of weapons to battle dastardly robots and monstrous creatures, while avoiding galactic forces of nature to rescue kidnapped space bunnies from a galactic-vacuumy demise. 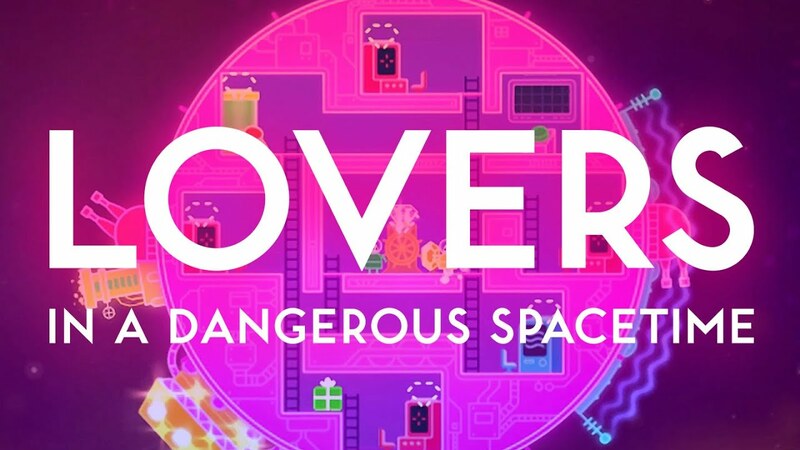 Don’t be fooled by the colorful universe, Lovers in a Dangerous Spacetime features difficult gameplay that will challenge any player’s skills. If this isn't enough for you then you will be available for pre-order on the game’s website and on Xbox One starting August 27.